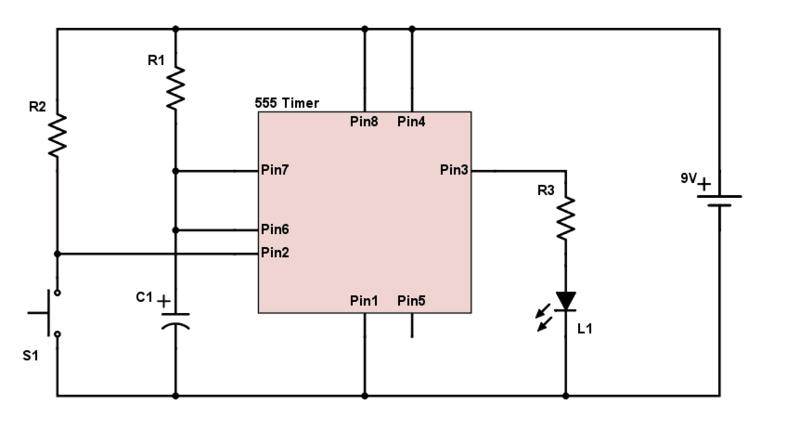 In Monostable button triggered circuit, why did you connect 10 kΩ specifically? Does it contain any calculations? The 10k resistor (R2) is there the make sure the voltage on the pin is held at a stable high level. “High” as in a value close to the supply voltage. 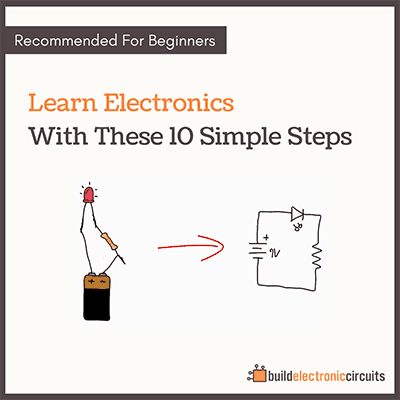 The reason that I chose the value 10k is because from my experience I know that 10k to 100k pull-up resistors usually work fine in almost all circuits. I’ve seen this been used many times and I’ve tried it myself many times. But if you don’t know this and you need to find a value, read on. There are two basic guidelines for choosing a pull-up resistor value. The first factor is to have a value that is not too small. If the value is too small a lot of current will flow through the resistor, which makes it really warm and could break it. Standard resistors often have a power rating of 0.25W (Watt). If you look at a worst-case scenario, all the 9V of the voltage source would drop across the resistor. With a resistor of 324 Ω you’ll be at the limit of what the resistor can handle if there is a 9V drop over it. So you want to have a value much higher than this. If you choose a value of minimum 10-20 times this, you should be fine. For example 5 kΩ as a minimum. 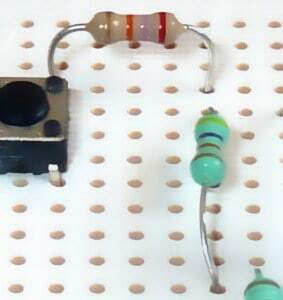 The resistor value cannot be too big. 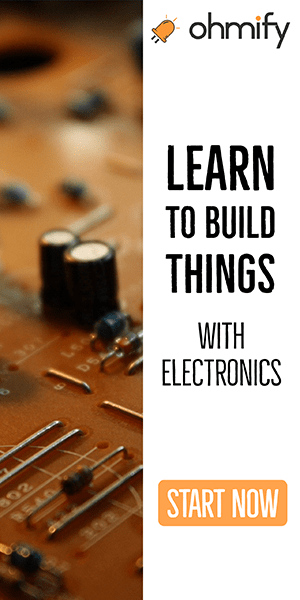 If the resistor value is too big, you get too much voltage drop over it so that the value on the input pin is no longer high enough to be called high. The input impedance of the 555 timer 10 Megaohms according to electronicsclub.info. And 10 times smaller is 1 MΩ. 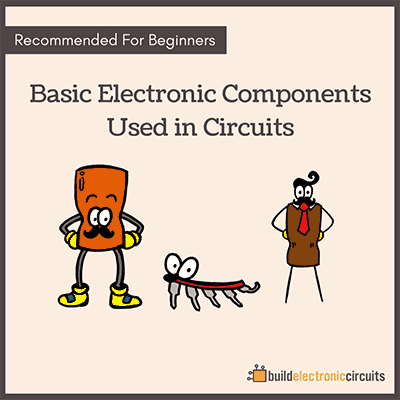 That gives you the choice of a pull-up resistor value of anywhere in between 5 kΩ and 1 MΩ. So as you can see, you can use a range of values here. Do you have any questions about choosing pull-up resistor values? Let me know in the comment field below. How to distinguish between pull-up resistor and normal resistor ??? Pull-up resistor is not a special type of resistor. 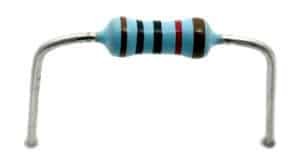 It’s just a normal resistor. How can we say R2 is pull resistor ? It’s because of its purpose. R2 is there to “pull up” the voltage when the button is not pushed. That is not the purpose of R1.